Put school lunch in the spotlight and remind students, families, staff—and yourselves—that the heart of every school beats in its cafeteria, and that school nutrition professionals serve love on every tray. To recognize the National School Lunch Program and the 30 million children it serves every day, Louisiana Fit Kids and the Louisiana Department of Education, Division of Nutrition Support will recognize National School Lunch Week from October 15-19, 2018. The theme, “Lots 2 Love,” encourages Louisiana students and school nutrition professionals to share what they love most about school lunch programs. Help Louisiana Fit Kids share all that you love about school lunch! Send us photos and stories about what is being done in your district and in your schools. Include SFA name, school name and a brief description of events, activities, special menu items etc. We will highlight your stories and info on the Louisiana Fit Kids webpage, on Twitter @LAFitKids and on Facebook @louisianafitkids. Send your stories and photos to Louisiana Fit Kids. 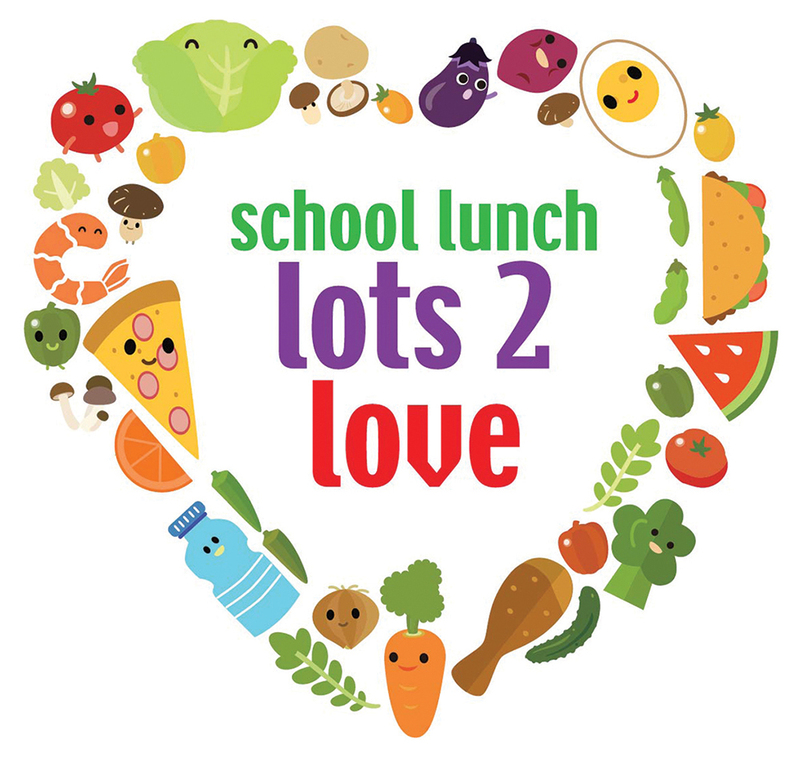 The 2018 National School Lunch Week (NSLW) theme, “School Lunch: Lots 2 Love” is tailor-made to help you tell your school lunch story and highlight what makes your cafeteria such a special place for students to visit every day. The “Lots 2 Love” campaign is made possible by the nonprofit School Nutrition Association. Parents and students can follow the fun using the hashtags #lots2love, #NSLW18 and #schoollunch. For more information, read about National School Lunch Week. The federally-funded National School Lunch Program (NSLP) provides nutritionally balanced, healthy meals to students every day. The program, which has been serving the nation’s children for over 60 years, requires school meals to meet federal nutrition standards like offering fruits and vegetables every day, serving whole grain-rich foods, and limiting fat, calories, and sodium.